The “it” at Hughes Brothers Theatre in Branson is a great entertainment production where a fantastic Independence Day is being celebrated on a night filled with games, foods and incredible show. There are over 50 astonishing singers, dancers, and musicians who will be performing in the theatre creating Branson’s Ultimate Entertainment Experience. In this unique entertainment spot, you will get to enjoy a great show and dinner (for an additional cost) during the celebration of Independence Day. The show will have a traditional family picnic and games at 5:30 pm. Dinner will commence at 6:30 pm before the start of the show at 8:00 pm. During the evening, the theatre is going to be one of the finest restaurants in Branson as it starts to serve guests with Garden Fresh Salad, Freshly Baked Homemade Yeast Roll, two meats: Center-cut Pork Tenderloin & Hickory Glazed Chicken Breast, Green Beans, Garlic Roasted Red Potatoes, White Chocolate Champagne Cake, and Beverage. A catering service that provides a great dinner menu on the “it” show is one of the finest restaurants in Branson. 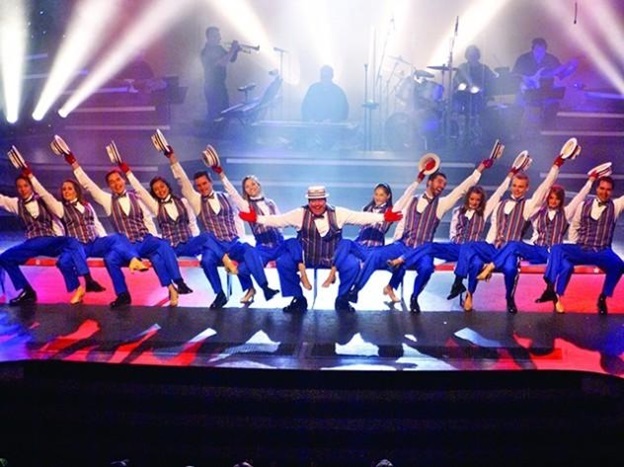 If you miss to celebrate a fantastic Independence Day with dinner and show at “it” at the Hughes Brothers Theatre, don’t fret as there are lots of fine restaurants in Branson that offer delicious cuisines. During the celebration of Independence Day in Branson, you will get to find many other great restaurants in Branson Landing that not only serve delicious food but also great entertainment. The “it” show at Hughes Brothers Theatre features an award-winning cast which include Hughes Brothers and their families, backed up by over-the-top production numbers and stunning lighting effects. The “it” delivers everything that you want to experience in this unique show in Branson. From country music to Broadway to comedy and to patriotic songs to gospel and to rock-n-roll, everyone agrees, it’s a fantastic show. From January through October, you need to see it, feel it, hear it, and you will surely love it. The cast of the show wants to deliver it to you perfectly, but to really enjoy it, you’ve got to see it. The Hughes Brothers is the “Worlds Largest Performing Family” who have been performing together for 28 years, 13 of which have been in Branson. The musical talents of the Hughes Brothers simply took place as they were growing up. The brothers have been harmonizing and performing as a group since their youngest brother Andy, was only two years old. They can make you laugh at one minute and tear up the next. They are one of the great success stories of American entertainment. The “it” is such an electrifying show with incredible harmonies, dynamic dance, entertaining antics, creative production numbers, soaring instrumentals, and of course a brotherly love combined with amazing performances to make the “it” a great show. So, if you want to experience a fantastic celebration of Independence Day in Branson, see the “it” show at the Hughes Brothers Theatre where you get to enjoy fun games, great show and delicious dinner.